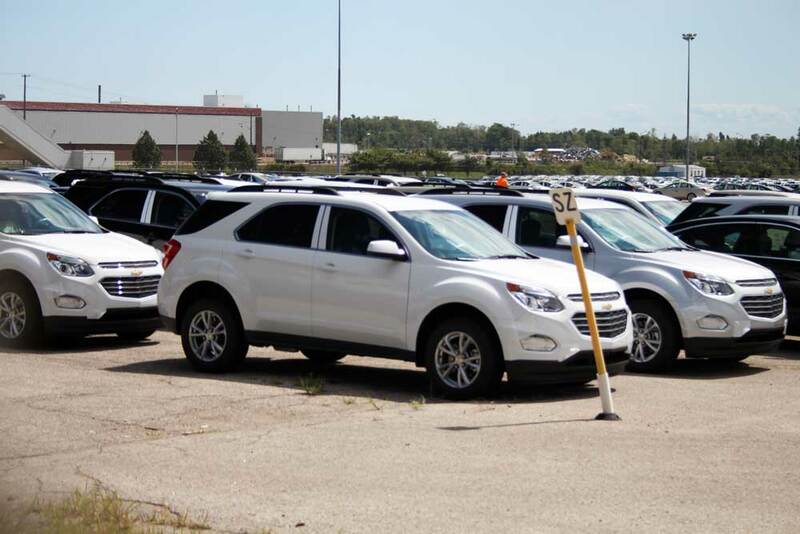 More of the Chevrolet Equinox will be filling GM’s holding lots on Stevenson Road following the automakers announcements it would be pumping $12 million into the Oshawa Assembly to boost production numbers of the popular vehicle. Cars will continue to roll off the line at the Oshawa Assembly until at least 2017. That is thanks to a $12-million investment by General Motors of Canada in the production facility, which will go toward increasing the production of the Chevrolet Equinox. Money will also be going toward the CAMI facility in Ingersoll, where the bodies for the Equinox are made. The investment means that the Equinox will continue to roll off Oshawa’s consolidated production line until at least 2017. Adria MacKenzie, General Motors of Canada’s corporate communication’s manager, says the company does not disclose production volumes beyond it’s total annual production, so it’s unknown how many more Equinoxes will be built as a result of the investment. The president of the union local that represents the plant’s workers says continued production is a good sign for the future of the plant. While he doesn’t expect new product to be allocated to Oshawa while General Motors negotiates with the United Autoworkers – the union that represents plant workers south of the border – this new investment in the Oshawa facility is good news ahead of negotiations with Unifor.